Tickets are not currently listed on the Disney World website. Information courtesty of Walt Disney World. I can go the first week in Nov – which is the first & second parties (12/7 & 12/8) – I read that the first party has been selling out the last few years – which I am not crazy about. The only other time I could go would be the first week in Dec. I would rather go in Nov, so I am further away from Christmas and it will be $50 or $60 more to go in Dec – so i am going back and forth a lot. I am so excited for MNNSHP – I was supposed to go last year, but we had to change our trip and went to Disney in Jan instead. Of course still had a fabulous time, but I have wanted to go to the Halloween party since I first heard about it! This is actually going to be a solo trip (my first) which is a treat to me for getting through some recent difficult times. So I am going to really splurge. Going to 2 parties. Fri 9/7 & Sun 9/9 are the ones going on while I am there, still early so I am hoping that the Fri party won’t be too bad. AND – since I am splurging on the two parties I am also going to do Kenny custom plans for them! Do you know when they will be online? Is there any chance they will bring the villain soirée back at Cinderella’s castle? They are not offering the October 31st tickets in advance sale. I was instructed that these tickets could only be purchased from the ticket booths the day of. Is this normal? Thank u!! Was gonna call and see the prices!! Hi Kenny, do you have any guesses/thoughts on whether they will let people in at 4 like in the past? Since DAH didn’t allow entry until at least 6 (first night closer to 7) wondering if that’s the direction all the parties are headed. Thanks for all you do! For Oct 28th Adult tickets were $116 and child ticket was $110. I was there 10/30-11/4 2016 and the crowds were not too bad. My family went to the party on Halloween night and I didn’t think it was too crowded. MK was super crowded on our last night, but they had the castle lighting that night and the debut of Once upon A Time. Its INSANE Halloween night! Crazy crowds. I doubt you will be able to buy a ticket for Halloween soon, if not now. Usually around that time of year they have a Halloween Party only open to DVC members. Could that be it? No. They don’t do a Halloween party exclusive to dvc. Wow! I love MNNSHP, but with them continuing to add earlier and earlier dates, it’s going to become a year round event. cool! I’m thinking that date…how much do they charge a person? thanks! Any thoughts why MK is scheduled to close at 6 on Sept 6th? Had originally thought it would be a Halloween party and was planning MK for this day. Now having thoughts to change my itinerary. Thanks! It’s possible that they will change the hours. They did that for a date in August. Thanks! I see Totally Tomorrowland Christmas is not listed as a returning show. Bummer. Do you know if it will be replaced with simething new? We are trying to decide on 10/25-10/29 trip or 10/31-11/4 trip. How much will crowds be impacted by Halloween/Run Disney on the latter weekend? 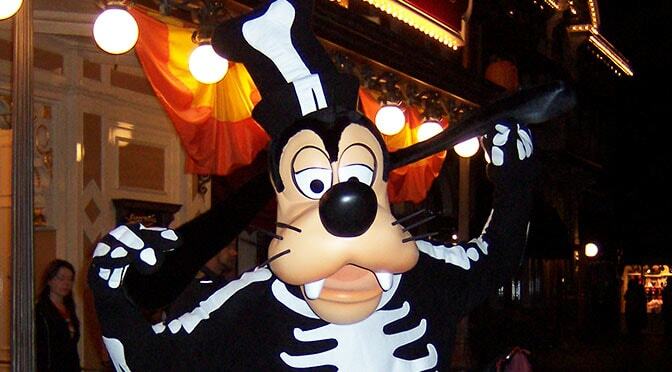 Also, do resorts have characters in Halloween outfits on or near Halloween? Hi Kenny! Question – last year the last Thursday of November closed early for a Cast Member event, so there was no party. This year, there is a party that day (11/29). I had intended on going to the party on 11/27 before this list came out. Do you all think Tuesday, 11/27 or Thursday, 11/29 would be the better day to go to the party? We’re first time visitors! Sorry I got caught up in the moment!! I see all the info in your post. Halloween is my absolutely fav holiday. You can only call to purchase since they aren’t listed on the website? Do you know when they will go on sale? Thanks!! They are on sale. They phone number is at the bottom of the post. Would the Aug 31st date or the Sept 3rd date (Labor Day) be less crowded? Any word on DVC or AP discounts? The price increase may have officially priced my family out this year. Kenny, do you think that the christmas decor will be up before the 8th? Adult tickets for October 5th were $116 – I’m assuming the cheapre options are in August and September and go up the closer you get to Halloween?